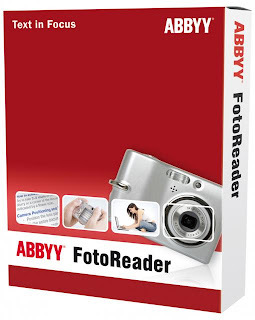 According to the SoftwareParadise, the smart application, ABBYY FotoReader “reads” the text on digital photos and transforms it into text files to edit and store on PC. With this application it is easier to take notes, make print copies or retype the text yourself. 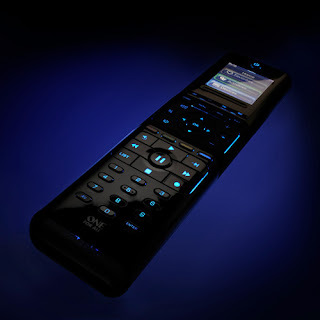 So, what can we do with ABBYY FotoReader? We can convert photos into Microsoft Word, PDF and other computer files, click few times and re-use texts from photos; Create PDF files from photos; click on an icon “Convert to Microsoft Word” or “Convert to PDF” and receive the resulting document; use FotoReader without leaving Microsoft Word. As for the Outlook button, it can convert a photo and send the results directly as an e-mail attachment. • Prepare research projects – Photograph book pages instead of making copies. • Remember information from important meetings – Photograph slides and documents instead of taking notes. 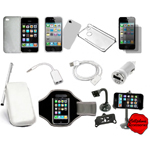 • Note information while travelling – Capture text on travel schedules, signs or billboards. • Store business cards – Create a searchable PDF file instead of stacks of cards. • Collect any printed data on the go – Simply photograph any interesting text like museum signs or shop’s opening hours. If you want to express your feelings to your loved one or loved ones there are thousands of ways to do so. But for those who are the fun and exceptionally exclusiveness lovers can use the MRK e-Locket™, an iPhone application by Designer/Photographer Monica Rich Kosann. 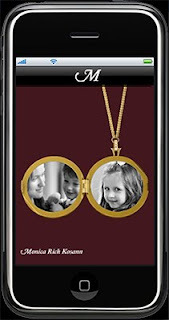 Choose a person, put your favorite pictures into a digital version of one of our beautiful lockets, and share customized locket with your this person, family or friends via email right from your iPhone. The MRK e-Locket is also available as a Facebook application. We are abile to customize locket with a photo from your Facebook photo gallery, as well as with an “engraved” message on the back of the locket, and share. • No limit on the number of lockets to create! Now with a new site - Employerinformation.co.uk you can rate companies. Employerinformation.co.uk aims to be a powerful tool for businesses that are willing to improve staff retention. The rate system is useful not only for the employers but the job seekers who would like to know where they are going to work. According to the Employer Information it provides employers with invaluable employee reaction to a number of questions about the way their company is run, allowing companies to celebrate their successes and, use the information positively where there are areas that could be improved. Rate system is a five star point system, visibility of the results are not limited. They can be viewed by current and potential employees, suppliers and work providers. So, why the Employer Information is useful? It is a fact that the site idea is mutually beneficial both for employers, employees, also for the potential Employees and suppliers or work providers. Hope each company will use the information to advantage of their businesses and that will result the satisfaction, improvement of employee-employer relations.